The Weather bike is a bad weather trainer. The Weather keeps your primary bike safe and warm through the off-season—or during any inclement weather. Your race bike will thank you and your Honey Weather for keeping it clean and warm.With Honey's Weather Series, it's always Honey season—regardless of the weather. A true winter training bike is difficult to find. 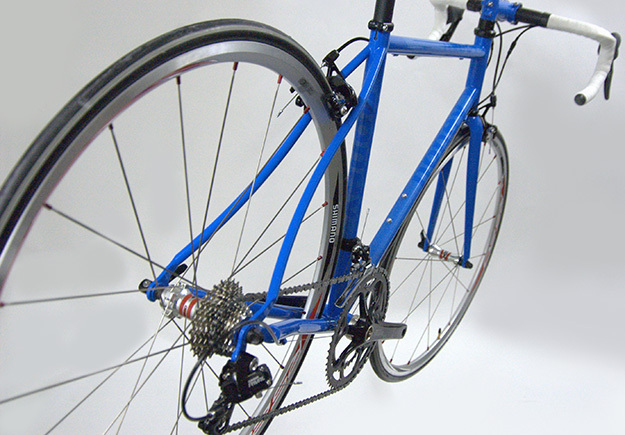 Most "trainers" are modified road bike, cross bikes, or light touring bikes. While these bikes can all work well, we designed the Weather to be a pure, single purpose, harsh weather bike. Why is Weather the ideal training bike? The Weather starts with the assumption that the road conditions on which you'll be riding are bad—wet, sandy, frost heaves, icy. To make matters worse, Weather assumes that the weather will be uncertain—probably differing from the beginning of your ride to the end. Because of these challenges and uncertainties, the Weather has features that mitigate these less than ideal conditions and make off-season riding fun again.